When Steel Pulse headlines a pre party the night before the actual festival and when you miss Nattali Rize and The Original Wailers due to conflicting artists playing at the same time, you know you are experiencing a stacked and important lineup. 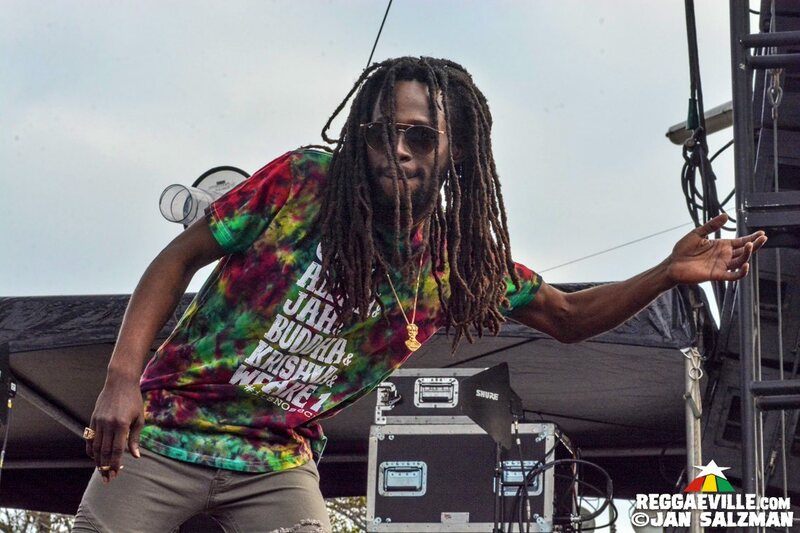 And the sold out One Love Cali Reggae Fest certainly delivered, with 47 Artists on two stages over two days from 11am to 11pm plus that pre party with Steel Pulse and an afterparty headlined by Fortunate Youth. The combination of perfect weather, a killer lineup and the reunion of so many Reggae fans and artists resulted in MASSIVE VIBES all weekend. California’s recent legalization of recreational marijuana was celebrated onstage regularly and often, usually fueled by the infamous Ozzie Sanchez, the “Giant Joint Guy” from @weshouldsmoke who brings huge bats the size of an arm up on stage and lights them by blowtorch, then passes them around to the musicians and to the crowd. FULL PHOTO REPORT HERE! Perhaps it was the shorter set times, many of them 30 minutes even for accomplished artists such as Jesse Royal, but there weren’t as many onstage collaborations as I was hoping for (The Green +J Boog, Stick Figure + Eric Rachmany or Collie Buddz) but there were some memorable ones for sure! Hirie joined Arise Roots for their 2014 track Cool Me Down. And one of Jan Salzman’s best moments was when The Wailing Souls (Bread and Pipe) joined The Long Beach Dub All Stars for that Wailing Souls track, War Deh Round A John Shop that Sublime stole from the Wailing Souls and twisted it into Pawn Shop. At the time there was some kind of lawsuit over it but here it was all positivity as they collaborated. Fortunate Youth brought up Brett from Pepper for Love Is The Most High followed by a nice riff on Bob Marley’s Soul Rebel followed by Sweet Sensi along with Josh Heinrichs, and closed it out with Peace Love and Unity as lead singer Dan Kelly shared “This festival is what we stand for!” Yellowman brought up his daughter K’reema for a few songs for one of the most emotional moments of the weekend although this played to a thinned out crowd as the last set of the weekend on the Flav stage. With a very California and Hawaii heavy lineup, Jesse Royal from Jamaica stood out, both musically and with his message: “This is the generation of change, the world is crying out to us.” Jesse made use of his 30 minutes with a flawless, high energy and focused set including many of his songs off his debut album Lily of da Valley including 400 Years, Modern Day Judas and Finally. Collie Buddz called up a kid named Allen from the crowd who’s birthday it was and he helped him perform Blind To You. The birthday boy was hilarious and really ran with it, thinking it was Karaoke time! It was hard for Collie to get the mic back! And Matisyahu did something I have never seen before. He took his shirt off, started running from the back of the stage behind the drums, jumped completely over the 12 foot photo pit area right into the audience and then crowd surfed for about 5 minutes. Matisyahu has had his share of drama and some would say disrespectfulness with some fans so this was certainly a ballsy move trusting in the crowd to keep him safe. Tribal was one of the most impactful bands of the weekend which is remarkable especially considering the dramatic changes in musicianship over the last year and a half including the departure of E.N Young, the unfortunate stroke that Gonzo suffered and the drummer change from Carlos Verdugo to Jamey “Zeb” Dekofsky. 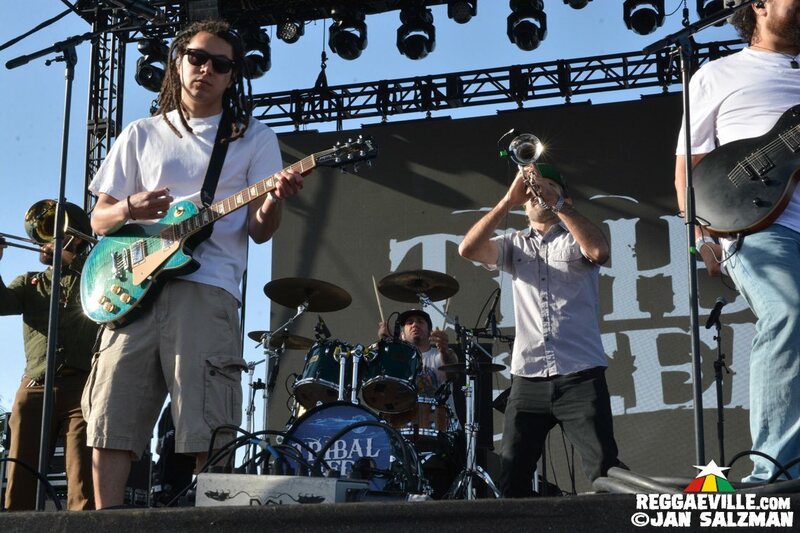 Nevertheless Tribal Seeds is sounding better than ever. Founder Steven Rene is not only a terrific songwriter, he is a selfless curator of talent who doesn’t seek the spotlight. Instead he allows others around him to shine. Case in point, even during a short festival set like this, he let guitarist Louie Castro take the reins on his own song Secol & Cool which highlighted this fresh youth’s vocals as well as the insane sax playing of Eric Hirschorn who is usually seen playing with Rebelution. Other highlights included Aroma from the new Roots Party EP which dipped right into dub version with plenty of improvisation, followed by Bob Marley’s Iron Lion Zion with a modern rap riff. With a 2018 Grammy Nomination for best Reggae Album behind them, and a current tout taking them to Hawaii, Europe and then back home to So Cal, Common Kings are on fire. Sunday they tore through one of the most high energy sets of the weekend featuring hits old and new with my favorite being the title track off the Grammy nominated Album Lost In Paradise. 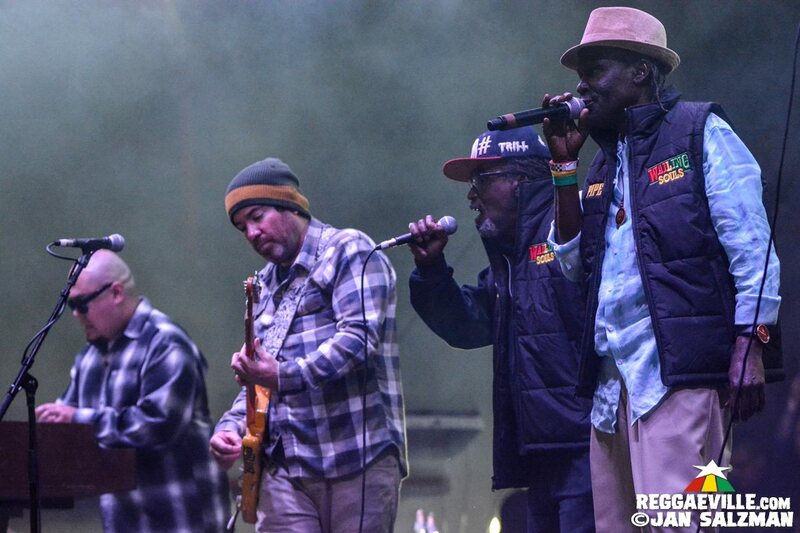 Respect must go out to a few of the hardest working guys in Reggae Music. 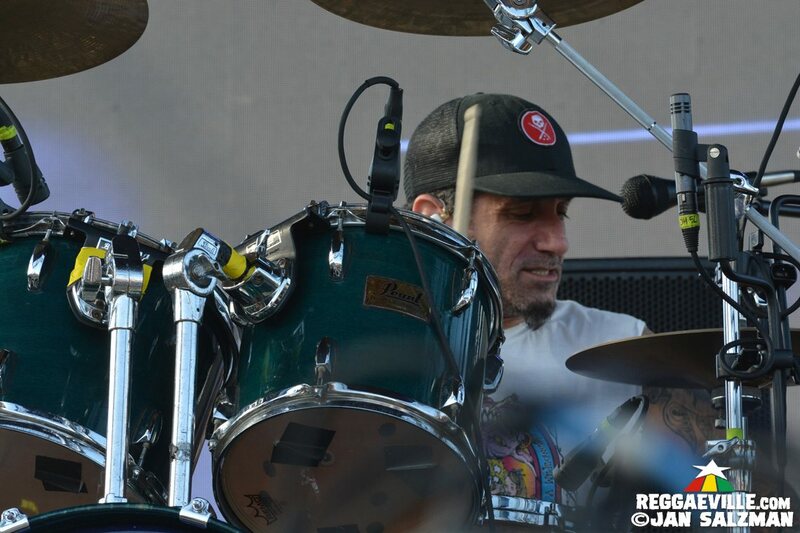 Jamey “Zeb” Dekofsky has layed down the base for so many Jamaican artists over the years as drummer for Detour Posse. 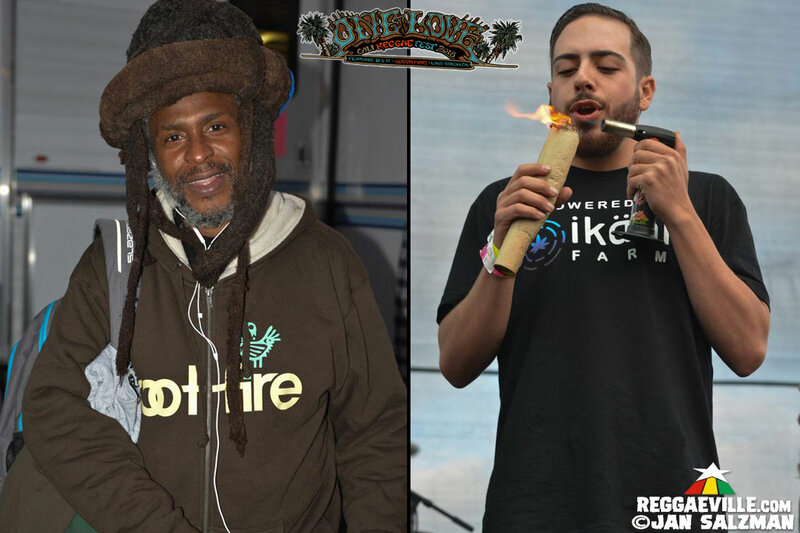 Now he is the full time drummer for Tribal Seeds but on Sunday he not only performed with Tribal, but also with The Original Wailers and with Detour Posse backing Barrington Levy. And he didn’t miss a beat, literally. DJ Westafa seems to be everywhere these days and at One Love he was on overtime, spinning vintage and fresh tracks for much of the weekend. This guy intuitively just knows what to play at any given time and always get his hands on new, interesting material. I just loved his selection of Gregory Isaac’s Cool Down The Pace by J Boog. PHOTOS by JAN SALZMAN CLICK HERE FOR THE FULL PHOTO REPORT!